February 25, 2014 -Sterling, NY – If you are a birder you know what a ‘Big Year’ is but if you are just a casual bird watcher you may not be familiar with the term. A ‘Big Year’ is an informal competition among birders to see who can see or hear the largest number of species of birds within a single calendar year and within a specific geological area. The Sterling Nature Center on the shores of Lake Ontario has created a BIG YEAR Challenge to get people outdoors to enjoy nature and discover the fun of birdwatching and identifying the many birds that migrate through or call Sterling Nature Center their home. From Bald Eagles to Woodpeckers to Ravens, you will find a wide variety of birds at Sterling Nature Center. 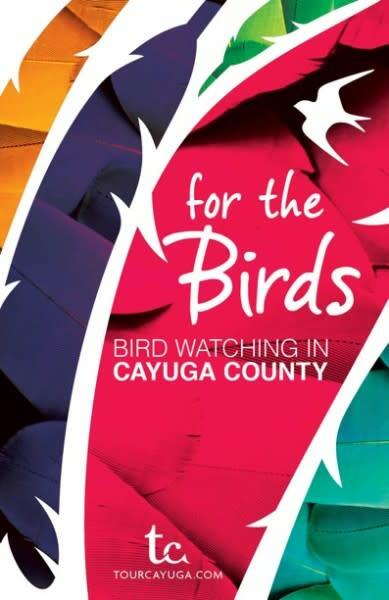 Before you head to the Center, the Cayuga County Office of Tourism suggests you stop by their office at 131 Genesee Street in downtown Auburn and pick up the ‘For the Birds’ guide to birdwatching in Cayuga County. The guide is free and a great tool to help you identify our furry friends. To take part in the contest, register with the Sterling Nature Center by calling 315-947-6143 or email snc@cayugacounty.us. This is a year long competition so there is still plenty of time to join in the fun!